Starbound, Terraria and Crea not enough for you? 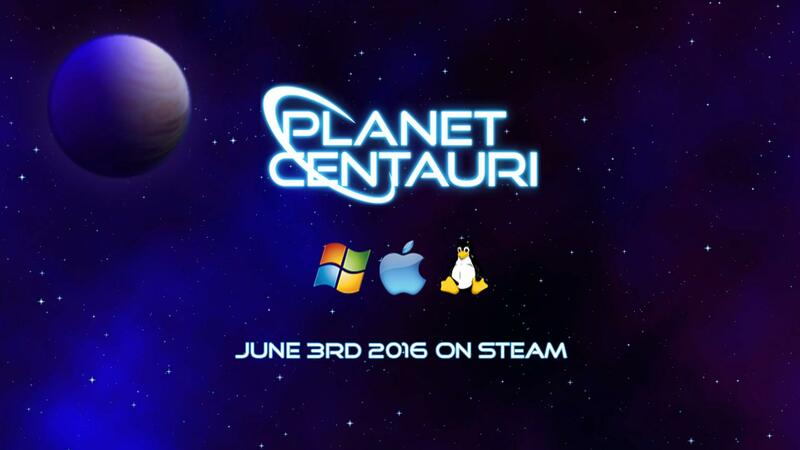 Planet Centauri is yet another sandbox 2D indie RPG with crafting and digging for you to sink your teeth into. Planet Centauri has its own set of features that you may find interesting, like capturing creaturs to fight alongside you that evolve as they fight. Yes, you can ride a T-Rex. I have to admit, the opening scene of the crashing ship is really cool and sets the game up rather nicely. Rather than just simply spawning you on a random map with no idea of how you got there or why. I've played a little bit of it and it seems to have really good Linux support, I didn't encounter any Linux-specific bugs and full-screen worked like a charm with my two monitors. A future update will add in support for programming your own robots and villagers, so that sounds pretty amusing. It's currently only single-player, with multiplayer also planned in a future update. It's a great start to a sandbox 2D RPG with crafting, so I hope to see this continue to progress. It's one genre we aren't short on good games! It's crazy how much this looks like Starbound. Like someone took Starbound and added the dino-riding from Ark (and also what looks like morphing and pokeballs lol). It's made by a small french team, and they are very active on a famous french forum, Canard PC. Their animations are awesome, and they have a nice magic system on the way : you can select different effects for example to get a bouncing fireball, a huge slow moving fire wall, a quick release of many small balls, etc. At first the world seems small but it's actually larger than a planet in Starbound or a large Terraria world. It's still unfisnished of course, but it has great chance of becoming great, and it's already fun. I bought this about a month ago when I seen it released, it has been running great on Linux. I like the way this game has a very similar background change to Terraria based on the biome type. But this has more tile types and options similar to Starbound. Although keep in mind it is in the early stages, right now the only way of getting the other tiles that are not listed to craft are from this machine you can build, which you have to add the based tile types into the machine, e.g. stone, dirt and sand, then randomly you get an assortment of tiles with a random quantity of 1 to 6 or so. The random boss mobs are interesting, my first hour of play I had to deal with one of these. not that easy with basic gear lol. You can upgrade your gear with further level qualities after you craft them. Plus your gear has slots for Runes that you find from random drops, mainly from boss mobs. you are able to combine similar runes to gain a new higher tier of the same rune. The most interesting thing is you can play the game as a creature in the game and gain levels as that creature to unlock new abilities etc. If you die transformed as a creature you don't drop souls (souls are a unique resource for upgrading items). Mounts are not available yet. Not all the gear types are available in the game yet. I had empty slots that I did not have available gear for, after many hours of play including crafting max level dragon armor. I've beaten the Dragon boss, apparently it hints at possibly rebuilding your space ship and eventually there will be other planets... so something closer to Starbound in the works?